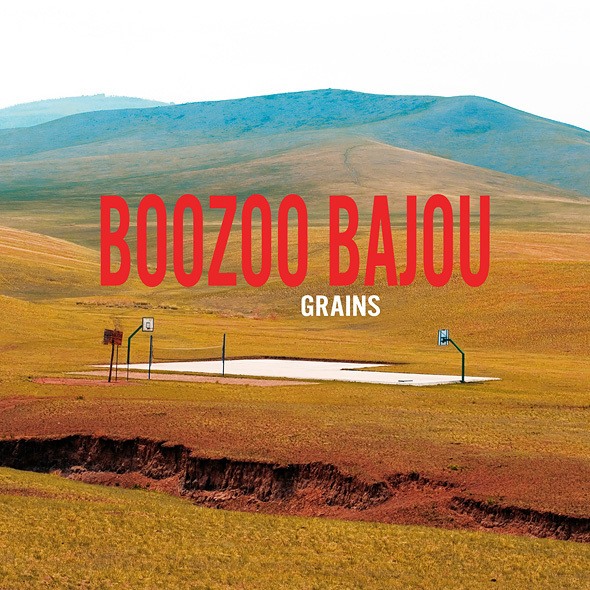 After 10 years of forward-thinking musical fusion, Boozoo Bajou return with their most seductive and sophisticated album yet, ‘Grains’. The producers Florian Seyberth and Peter Heider are already widely respected around the globe for their unique blend of modern electronica with blues, jazz, soul, latin and dub elements. But on ‘Grains’, the Nuremberg duo take a lighter and brighter path, absorbing acoustic folk and classic songwriting into their progressive musical journey. Boozoo Bajou earned global attention with their irresistible breakthrough single ‘Night Over Manaus’ in 1998, their 2001 debut album ‘Satta’ and its 2005 sequel ‘Dust My Broom’. They also demonstrated their excellent and wide-ranging musical taste on two excellent mix compilations, ‘Juke Joint’ and ‘Juke Joint II’. In addition, Florian and Peter have remixed and collaborated with a wide range of major artists. These include hip-hop superstar Common, Joe Dukie from New Zealand dub-rock collective Fat Freddy’s Drop, rapper Oh No from the Stones Throw camp, former Motown writer-producer and blaxploitation soundtrack legend Willie Hutch, and the veteran Louisiana singer-songwriter Tony Joe White, author of the all-time classic ‘Rainy Night In Georgia’. Yet ‘Grains’ marks a dazzling new chapter in Boozoo Bajou’s career. This is the duo’s most organic album so far, making beautiful new sounds by blending modern studio electronics with live instruments and guest vocals. An album of underground and experimental sounds, but based on strong melodies and emotionally charged vocals. Inspired by the resurgence in acoustic singer-songwriters, and a visit to the contemporary folk festival Green Man, obsessive record collectors Florian and Peter made ‘Grains’ after falling in love with the Laurel Canyon generation of early 1970s LA. This was a time of unplugged introspection for rock superstars like Neil Young, Joni Mitchell and Jackson Browne. Several guests sing on ‘Grains’. But Boozoo Bajou’s most exciting new discovery is their first ever female vocalist, the young British singer-songwriter Rumer, whose voice was described by BBC London as coming “straight out of Laurel Canyon”. Rumer provides the vocals on ‘Same Sun’, an addictive fusion of acoustic melancholy with shiny modern production. She also sings on ‘Messengers’, a sublime mix of jazz, electronics and singer-songwriter folk. Imagine a generation-spanning voice which blends the fragile beauty of Karen Carpenter, the warm glow of Sade and the spooky magic of Goldfrapp. Fans of previous Boozoo Bajou albums will appreciate the rich mix of contemporary and vintage sounds scattered across the album. On the luminous late-night torch song ‘Flickers’ and the bittersweet soul ballad ‘Sign’, the ghost of Curtis Mayfield meets Florian’s love of early Style Council. Meanwhile, somewhere between the spaghetti western twangs of ‘Kinder Ohne Strom’ and the trippy sunshine ripples of ‘Fuersattel’, Ennio Morricone shares a Studio One jam with King Tubby. Then there is closing track ‘Big Nicks’, a gentle Blue Note jazzy stroll through uptown Manhattan, where the 24-hour diner of the title is located.